Amazing Sales Videos - In Minutes! 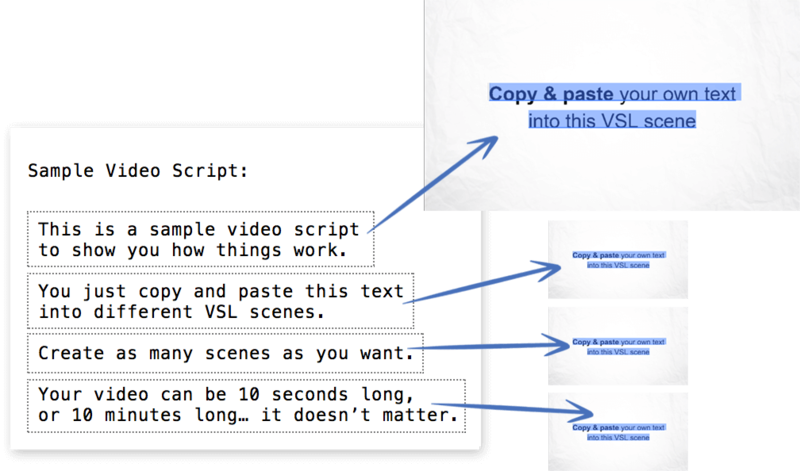 Create a great looking VSL literally in minutes - just copy and paste your sales script into placeholders. Create more complex sales videos with: images, videos, icons, transparent PNGs, 2D & 3D animations, & even green screen sales people. 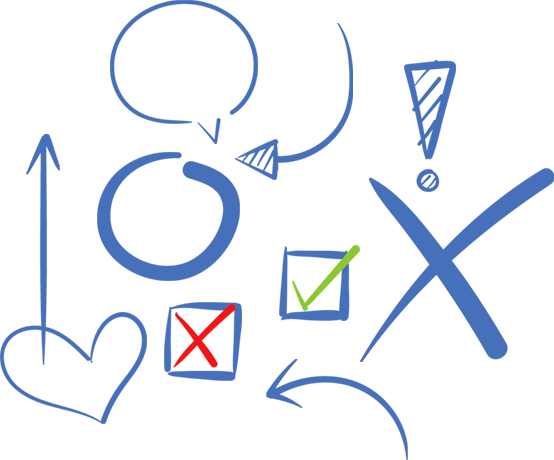 Drag & Drop EVERYTHING - what ever you see on the screen, you can freely move around, resize, rotate, etc.. Create all kinds of video types (not just VSLs) - Recipe videos, slideshows, instructional videos, video ads, & more. There are all kinds of different types of videos out there... but the bread and butter for a lot of top marketers and brands are Video Sales Letters (VSLs). "VSLs" are like a text sales letter, but stretched out into video format. Sometimes with images and other illustrations to make the point better. There is a reason why so many top marketers use VSLs, and that's because they convert! AND they're easier to create than more "fancy" types of videos like explainer, animations, etc.. I use sales videos for my products. And this VSL Toolkit Pro is acually abased on tools I use myself to create my own videos. I wanted to simplify the whole sales video creation process. To make it as fast and simple to use as possible. 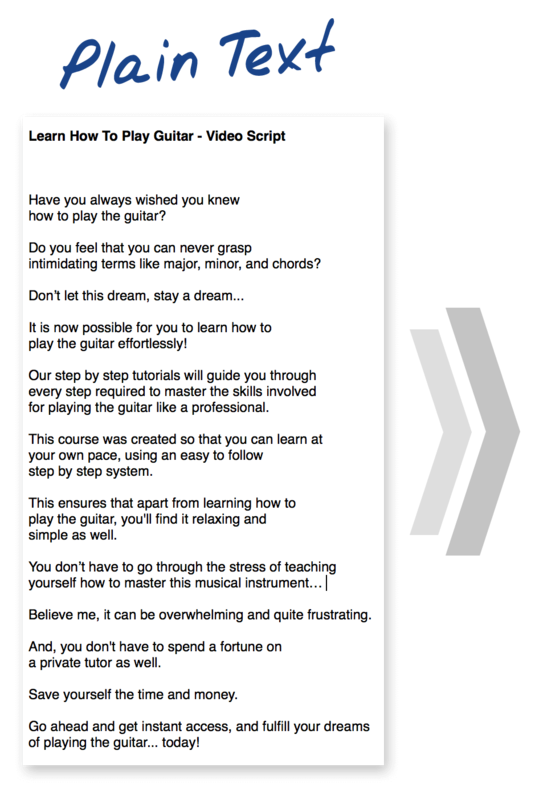 This is a simple yet proven to convert type of video sales letter, that a lot of top marketers use. It has plain text in the middle of the screen, on a plain background. 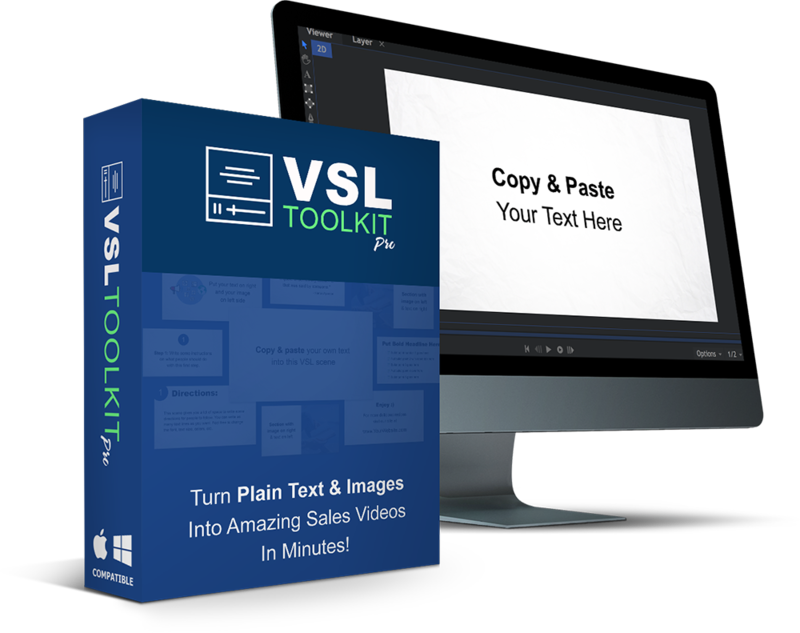 This is the easiest type of VSL to create and you'll be able to create it in minutes. You literally just copy and paste your text into placeholders. If plain text won’t get your message across, you can also Drag & Drop ANY images or other videos into your sales video. And create more visually striking videos. The templates are flexible enough to be used for all kinds of other video types, not just VSLs. 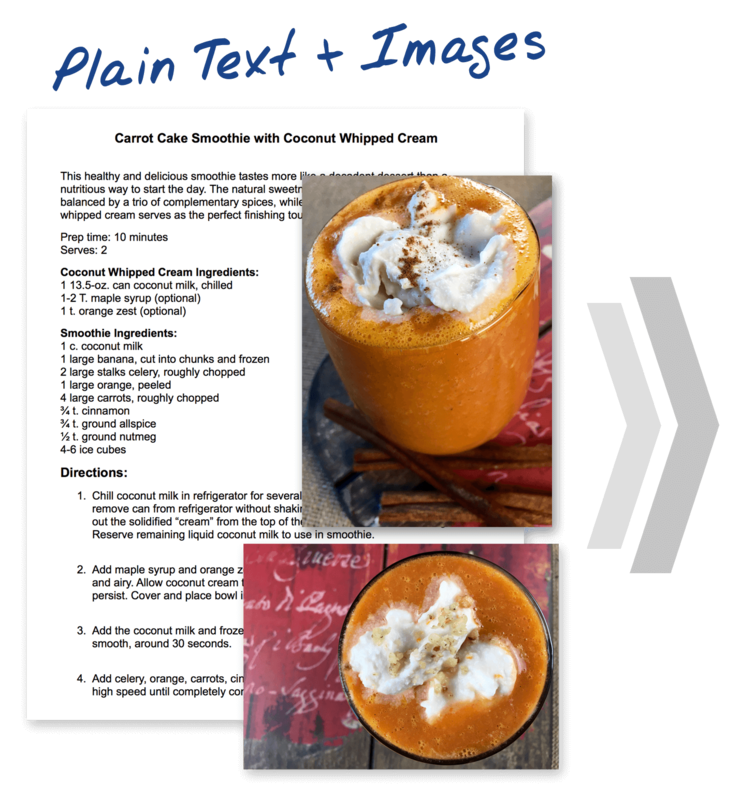 You can create recipe videos, instructional videos, review videos, quotes videos, and much more. 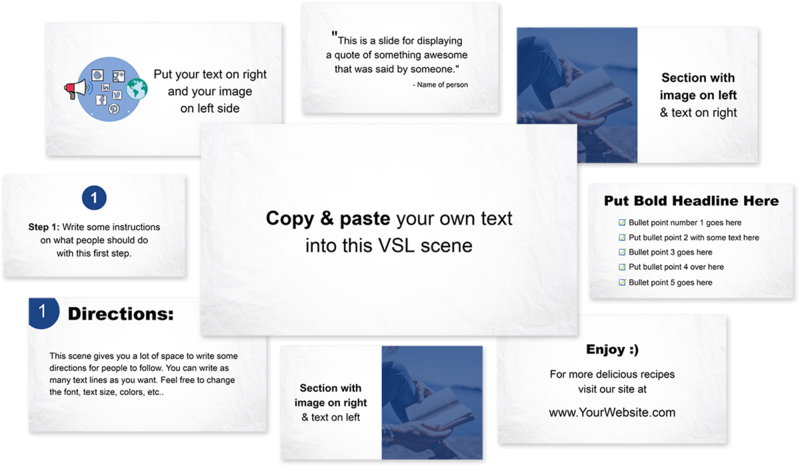 Choose from dozens of VSL layout scenes like: text in middle, text with headline, headline and bullets. etc..
Open your video sales script text file, and copy and paste your sales copy into placeholders. 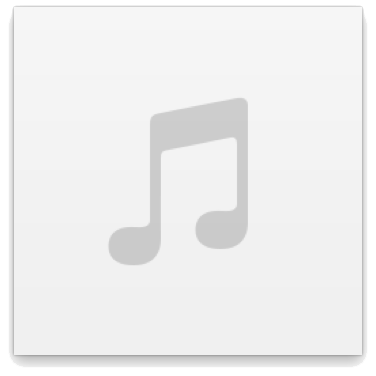 Drag and drop your pre-recorded voice over or background music. That's it! The video is now ready to render. If you need to illustrate a point better, or add some emotions to your video... just drag and drop some images. 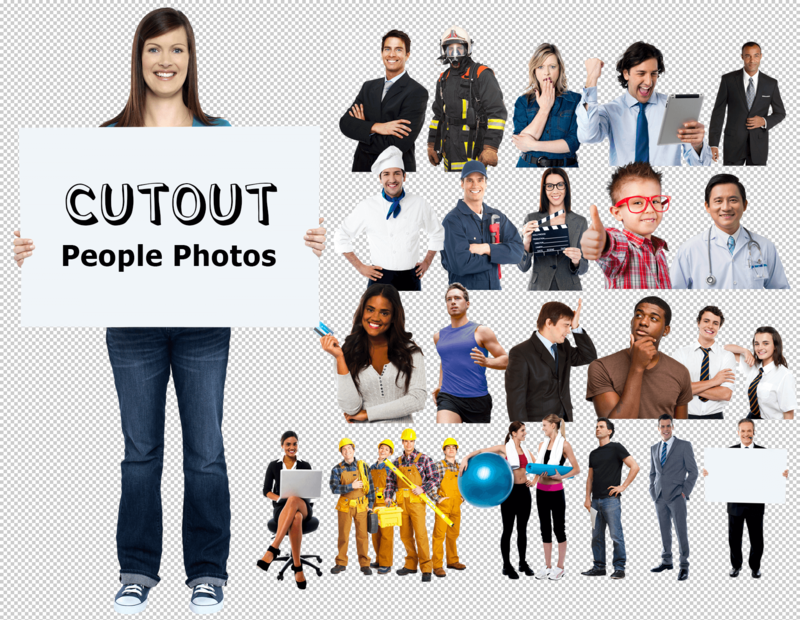 Choose from 100's of provided images, or upload any image of your own. Move the images around, resize, rotate, flip, etc..
Give your videos an instant makeover with background themes. Choose from light or dark theme. Dozens of hand crafted background themes to choose from. Upload any background image of your own. To bring your VSLs to life even further, you can also add some videos. Choose from 100's of videos from the built-in library or import your own. 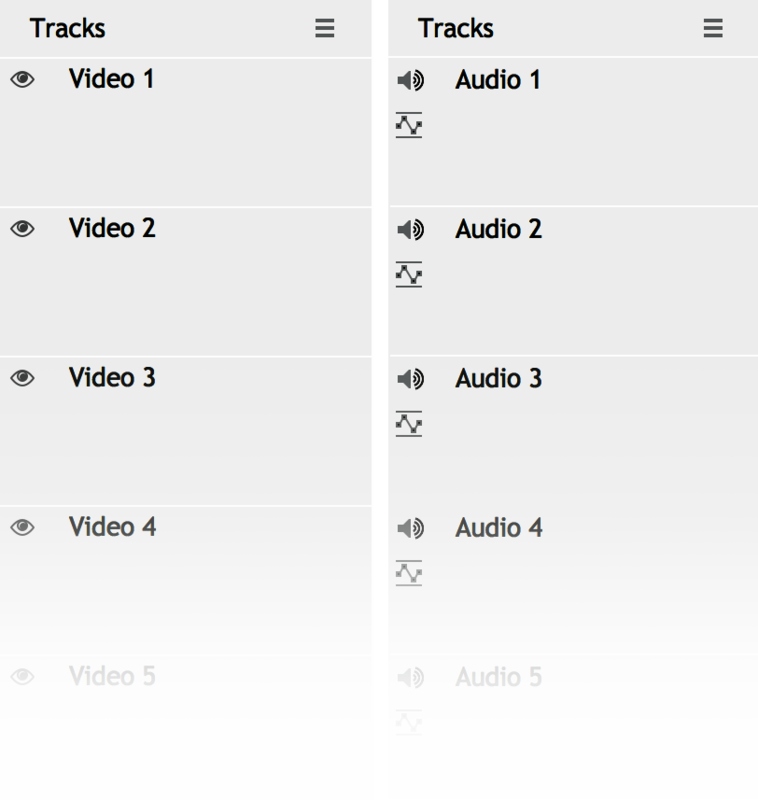 This is a nice extra touch to give your videos even more polish. Instead of using static images, you can use animated ones. Animated explainer objects and icons are included, and you can also import your own (in green screen or alpha channel). Record a video of yourself talking in front of a green screen or white background. Hire a spokesperson to record a sales video. Add some green screen actors (that don't talk) to ephasize certain parts of your sales massage. Note: Green screen sales people videos are not provided. You have to import your own. If you REALLY want to grab your viewers attention... 3D animations will do the trick. Add pre-rendered animations inside your sales videos. Choose from dozens in the library, or import your own (green screen or alpha channel). Create multiple video tracks with stock footage, motion backgrounds, or any other kind of video. Create multiple audio tracks with background music, voice overs, and sound effects. What ever you see on the screen, you can click it and then Drag & Drop it anywhere you want. Drag & Drop text, images, videos, backgrounds, 3D animations, etc.. Import your own images, videos and animations, and drag & drop all of that stuff too. Add text and images on top of stock videos. Add animated explainer objects next to video sales people. Mix and match text, transparent PNGs, icons, animated objects, stock videos, motion backgrounds, etc.. Create your own arrangements of scenes. 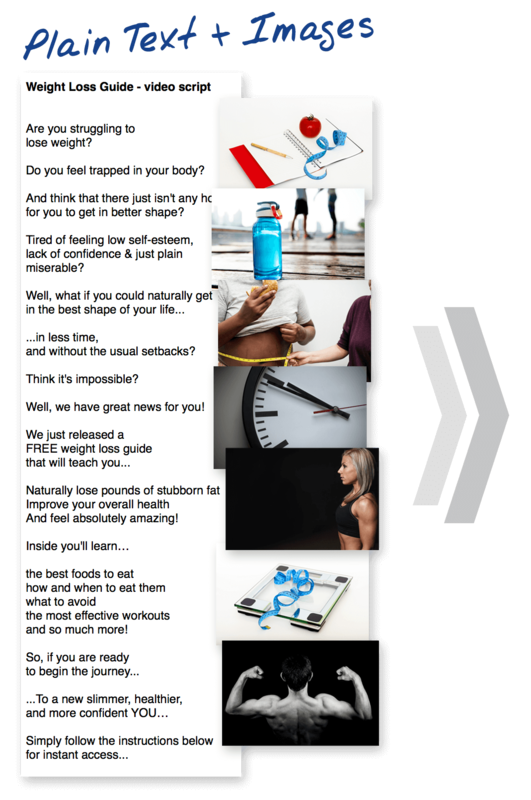 You're not locked into any specific sequence. If you use other video apps, and want to import clips created in those apps... no problem. Add logo animations from another app at the beginning of your VSL. Add a demo video of your product in the middle of the VSL. Add as many clips from other video apps as you want, anywhere within the VSL. Make 10 second ads, or 3 minute sales videos, or 30 minute long videos, or anything in between. You're not locked into any specific video length, and there are no limits to video length. You will have access to a full video editor and compositor, so you'll be able to do A LOT.